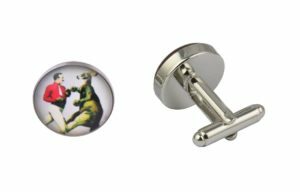 This unBEElievable set of cufflinks are one of our favourites. 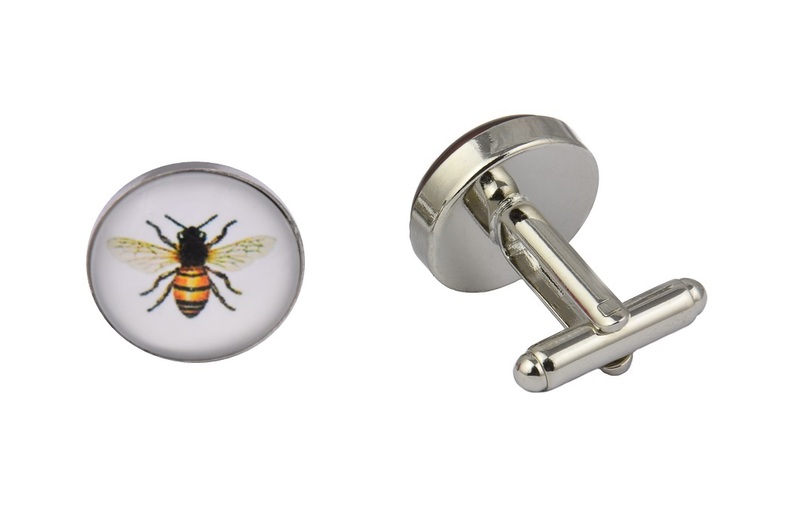 Our bee cufflinks are as sweet as honey, featuring a bumble bee set against a crisp white background. Did you know that the worker bee is adopted as the signature symbol of Manchester? These bumble bee cufflinks make an amazing gift for the hard-working Mancunian in your life, but their appeal flies further than that. Wear yours for an English countryside wedding this summer or give the gift of cufflinks to that busy bee who never seems to sit still. Our bee cufflinks will go with any outfit but we love them with a simple white shirt to show off those yellow and black stripes. 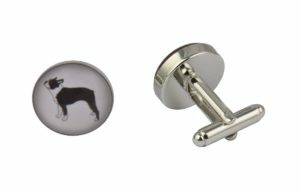 These cufflinks are made of the highest quality metal alloys, silver coated and have the image presented in a clear fashion under cabochon glass, a gemstone of the glass family. 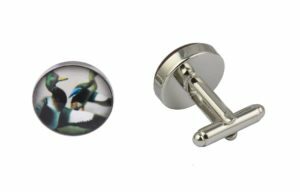 Bee cufflinks are 16mm in diameter which is the UK norm for these types of accessories. Our cufflinks are presented in a luxury black velvet cufflink bag with an option to upgrade to a faux leather cufflink box for a small supplement on check out. Check out a selection of our other bee and insect cufflinks on the links below. Purchased as a gift for a friend these awesome bee Cufflinks came next day and were gift wrapped. The quality was excellent much better than expected. Would highly recommend these Cufflinks and Cufflinks Gift Hub. thank you. I am pleased with my purchase and they arrived promptly and well packaged.